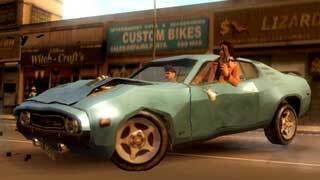 This is the fourth game in the Driver series and presents a new element to the gameplay, mainly being that of an open mission structure, very similar to the Grand Theft Auto franchise in both feel and design. The game is set back in the ‘70s so you are faced with muscle cars from that time. Based in New York City, you play the role of TK who is determined to work the cocaine network of the time and after being setup is caught and thrown into the slammer for a long time…. Add a montage of scenes that show time moving if you will director and then your man is out, in 2006 and determined to get the revenge that TK feels is his for the taking. The maps on the game are broken up into areas that are “locked” by bridges and the like quite like GTA and it’s odd that the developers have spent so much time on allowing you to give a vehicle a lot of grunt like previous games in Driver as you can just jack cars whenever you like, so chances are that you are not going to stick with the one car for any amount of time. 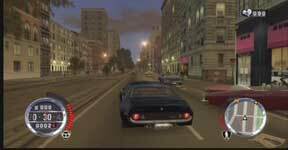 As with all games in the series, most of the missions are based around the use of cars and what you do in them. Graphically the title on the PS2 is a little haggard though it runs well and there don’t seem to be any frame issues that I could detect. The feel to the game is slick and the animations when you go from the 70’s to today are neat as well. I really did not like my gun in this game as the system for shooting is just so awkward. There will be times that you have to do this though and I simply found it nightmarish. You don’t have to spend much time on foot but, it’s irksome nonetheless. The city that you play in is impressive and I think that gamers, especially those who live in the USA or at least New York are going to get a real kick out of the detail that has been put into making a living breathing environment for you to drive about in. Speaking of driving, Reflections have made sure that this game still has one of the best physics engines going when it comes to moving on four wheels. Your cars drive right, feel right and look right all the way through and it’s a pleasure taking one for a spin. The cops are back as you could well expect them to be this time and there is a heads up display that shows where they are looking. This is reminiscent of the way Metal Gear Solid shows you where guards are looking and should help some players who have been pretty hapless with it comes to the fuzz. Cops will respond to “heat” levels, speeding and running red lights when you have been seen by them. They are pretty easy to get away from though and taking a corner at speed and evading the vision cones on the screen will usually see you right. 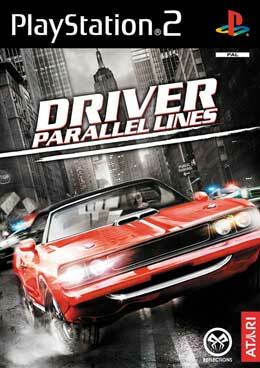 All things said and done, Parallel Lines is an improvement on the last game when you look back on it, however the lack of true originality will annoy some people, especially your GTA fans with similar missions and a very same feel to the whole experience. Some players won’t care though for the simple reason that if you love something enough, you don’t mind revisiting it. Kudos on the creation of a good-looking city that gamers will love and get many hours of playtime out of.